A special moment has come. 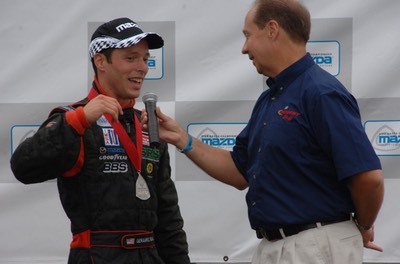 When you last heard from me, I had won the 2005 Skip Barber National Championship presented by RACER. In the weeks that passed from that day I received more well wishes from you, my friends, than at any other time in my life. Many of you called, wrote, text messaged, or otherwise made me feel appreciated beyond comprehension. You have given me a deeper understanding of how important relationships are. Thank you so much. 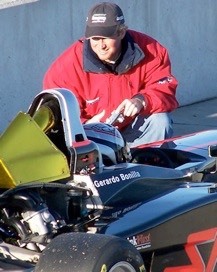 There are two people who solely funded my 2005 racing campaign. I will publicly tell them now that they are the force, the insurers of dreams. They have protected the investments made by my previous sponsors from 2000 to present. Without you two this year, so much work would have been put at risk. Thank you. 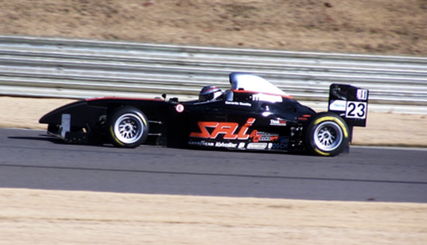 I had tested with two of the very best teams in the Star Mazda series. I could only choose one. I spent weeks on the phone with my mentor group. They all had life experiences to share in helping me decide. 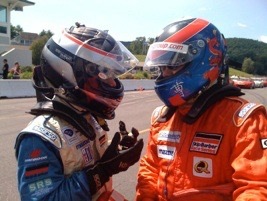 The key advice came from a mentor at the Skip Barber headquarters, Mr. Rick Ratajczak. He simply said, "Gerardo, you need to think about what sort of education you want to prepare you for 2007 and 2008. It really doesn't matter the results in 2006, so long as you have the proper education." After a few more weeks of negotiations, I chose Andersen Walko Racing. 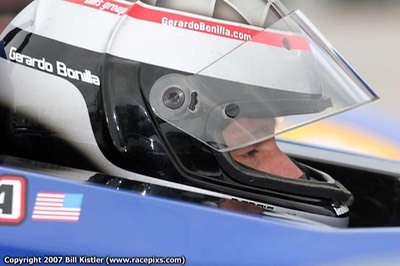 The selection process included race car testing, interviewing of team personnel, review of crew and engineer resumes, a study of the team's history, and giving the team ample time to get to know me. Although we made this official only days ago, I was put to the test in the race car at Barber Motorsports Park just prior to the final negotiation. The team treated me as if I was already signed. I was worked hard, as a professional would. I was paired with a fantastic engineer in Remi Lanteigne, who last year worked with Katherine Legge in the Toyota Atlantic Series. Remi has the knowledge base and personality I am looking for in an engineer. 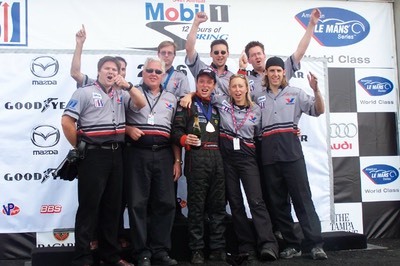 Team Owner Dan Andersen has assembled a team of engineers, crew, and administrative staff that are sure to gel into a repeat of their superteam status of 2005. 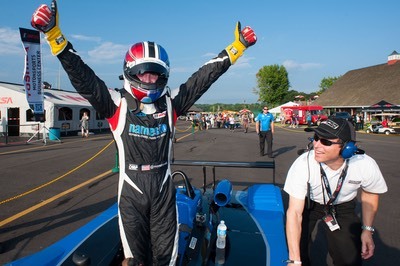 The Pro Formula Mazda race car is simply amazing. We all know it's fast, but its not until you spend time behind the wheel that you finally see how it turns in, how it builds lateral load, how the downforce affects grip, what its like to catch a mistake at 120 mph while generating nearly 3 g's. There are so many times I think how glad I am my Mother can't see what I just did at one corner or another. I suppose she has faith I can make good decisions to stay out of trouble. And from what I have learned, that might be a key ingredient for winning a championship. Thank you all once again for your support and friendship. I've made it this far thanks to your help, and will continue to apply your help responsibly in 2006.